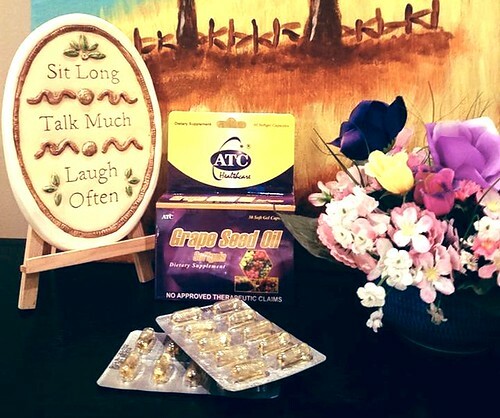 Feature | ATC Grapeseed Oil: Fight Your Daily Stress! If you are BPO mom like me, then you definitely know the meaning of stress. It's when you get into a traffic jam on your way to work, it's trying to meet your metrics, coaching people, submitting your reports on time, attending meetings and then welcoming the morning rush on your way home. Stress needs to be addressed since it could be the cause of many health issues like IBS (Irritable Bowel Syndrome), hyper acidity migraine, vertigo and many more. Being healthy and managing stress will equal to a fruitful day. A fruitful day will equal to splendid work and a budding career. Don't take the risk to have stress overcome you and protect yourself by taking ATC Grape Seed Oil. ATC Grape Seed Oil contains Oligomeric Procyanidin, an antioxidant that is 50 times more potent than Vitamin E and 20 times stronger than Vitamin C. It has the ability to protect our bodies against free radicals which damage cells, allowing us to have healthier and more radiant skin. So be healthy, fight stress and have healthy skin with it, take ATC Grape Seed Oil.